I hope you’re all well and having a pleasant week so far! For today’s blog post I wanted to share with you one of my greatest hair styling finds, the Diamond Flat Iron by Irresistible me. If you have been following my blog and Instagram for a while, you will know that I have super unruly curly hair, with an absolute temperament of its own. There are certain days of tight, perfectly curled ringlets – that’s if I mix up the perfect concoction of hair styling products (which I haven’t quite managed to get the hang of yet – I rely solely on trial and error, sigh), whereas other days, my hair will be completely out of control and entirely unmanageable. There’s honestly no way to foresee how my hair will turn out after stepping out of the door. Although I adore my natural hair, the constant maintenance can be rather burdensome and so I like to change things up, and opt for a sleek do’ instead which is easier to maintain and style. So when Irresistible Me very kindly approached me to review their best-selling straightener, I, of course, jumped right at the chance – who would be silly enough to say no? The flat iron has ceramic plates and new diamond and tourmaline technology which is claimed to help protect the hair by preserving all natural hair oils, thus leaving the hair healthy, shiny and frizz free. I have been on the quest for healthy hair for the last year (my poor hair has suffered irreparable damage due to extensive use of heat over the years), so I typically try to avoid any heat for as often as I can. However, when I do eventually give in, I would like to think that I have done everything in my power to ensure as little damage as possible. My hair has come such a long way over the last few months that it would be a shame to then take so many steps back. For this reason, when I do use any hot tools, I like to ensure that they have preventative measures to help impede hair damage, which is exactly what the Diamond straightener claims to do. 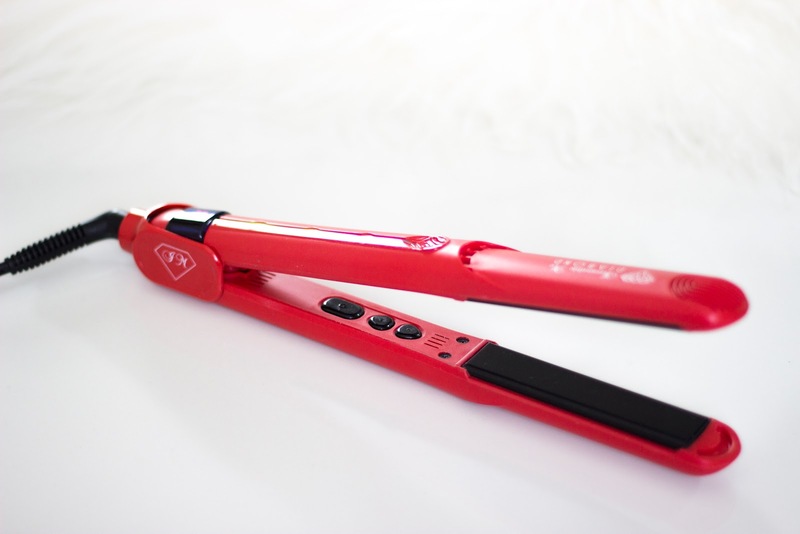 The straightener itself is fantastic – it heats up in a matter of 20secs tops! 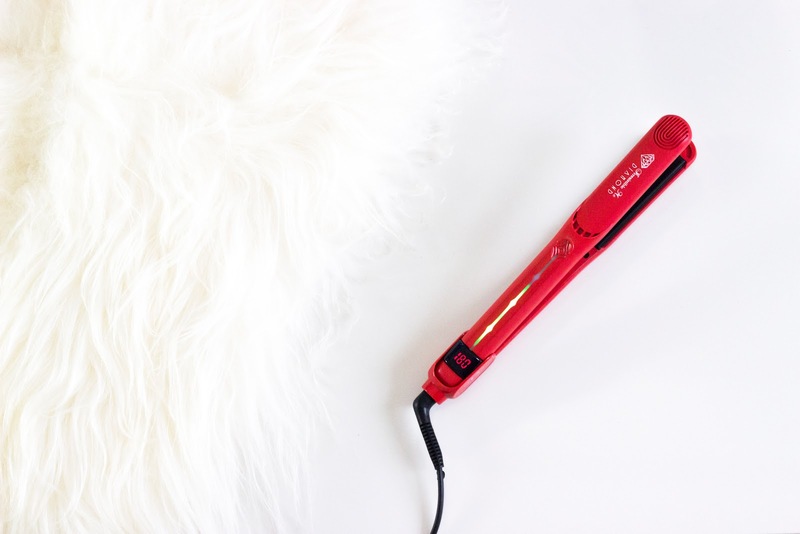 What’s great, and something that I have not seen on a flat iron previously is that whilst heating up, it gives you a real-time temperature conversion on the digital display while warming up to your desired temperature. In order to ensure that my curly hair is pin straight, I part my hair into small sections and glide the flat iron from root to tip twice. A brush or comb help to ensure that there are no flyaway’s and helps to prevent any breakage by removing any clumps or knots. 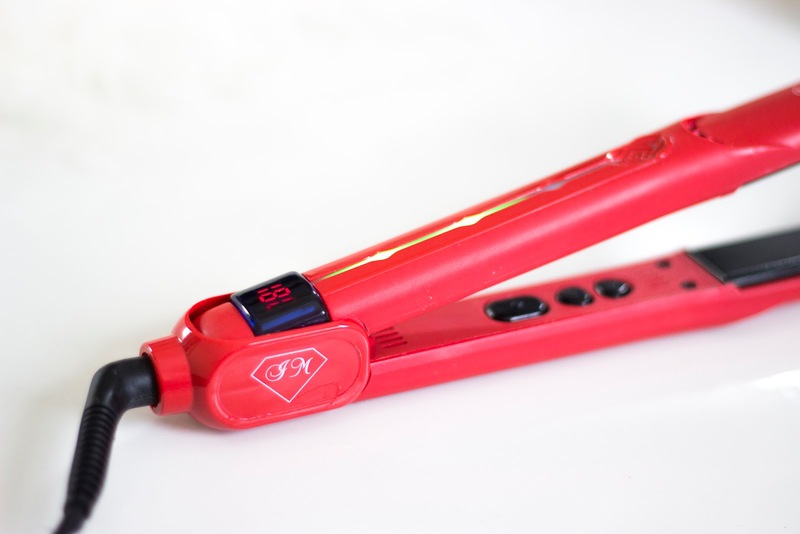 Another great feature of this straightener is its weight – it’s practically feather light! All of my past straighteners have been comparably heavier, whereas the Diamond straightener saves me from the arm cramping at the end of the hair styling – phew! 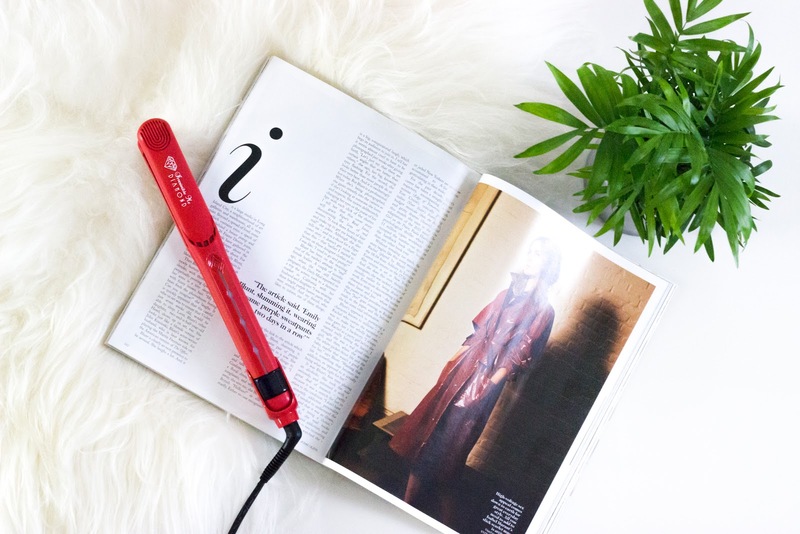 I have honestly been blown away – it is by no surprise that this flat iron has received so many positive reviews! 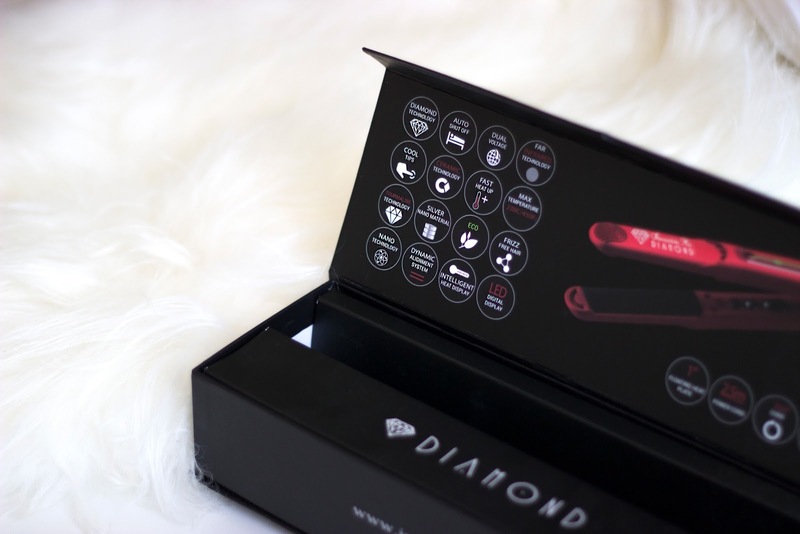 The Diamond straightener is currently on sale HERE at a bargain price of $97 (approximately £77), so if you are stuck on what to gift someone for Christmas, this would be the perfect present! I honestly cannot recommend it enough. In my opinion, it is up there with the likes of GHD. It has completely surpassed my expectations!